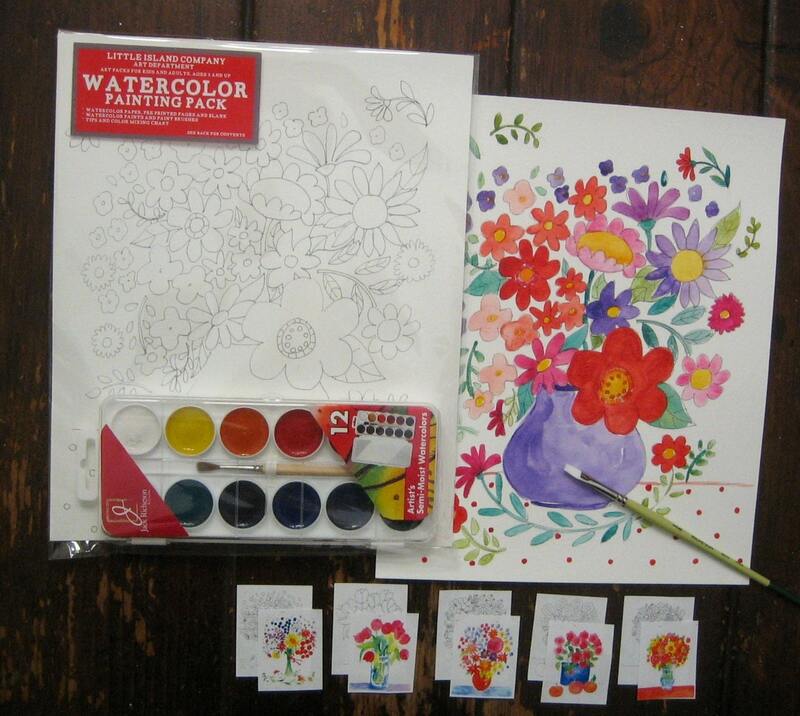 Watercolor Painting Kit featuring 6 Flower and Still Life pages to paint any way you like. Designs are printed on fine quality 140 lb watercolor paper, 8.5 x 11. 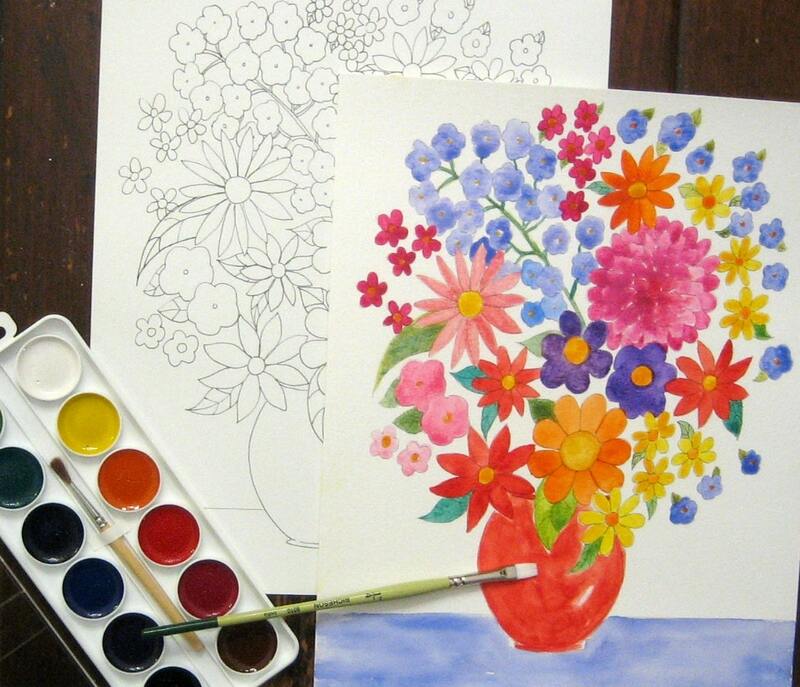 You can paint detailed and in the lines or wild and free. 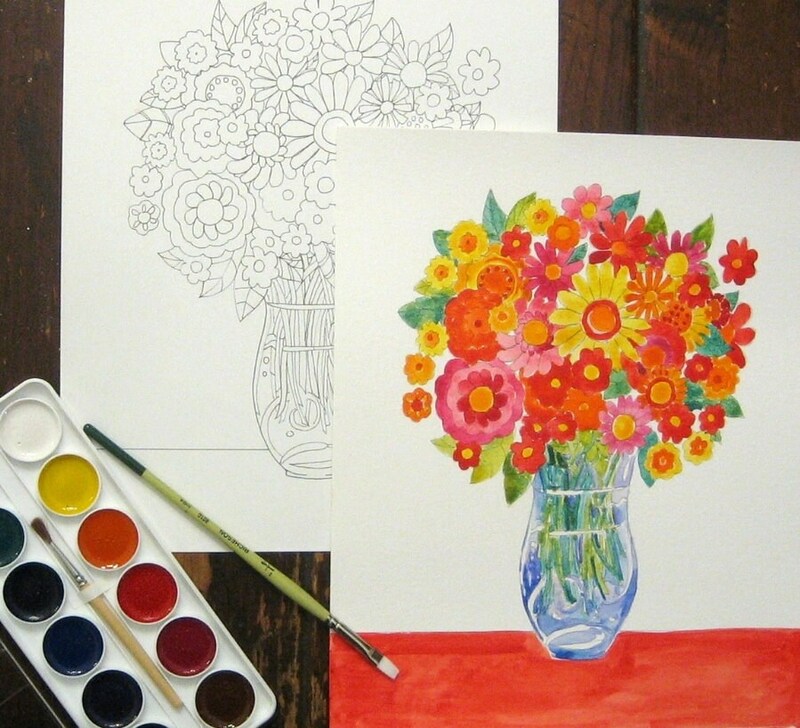 With watercolor there are no rules and "Inside the box" does not apply. The printed designs are to provide a little help getting started, and after that, it's up to the "artist". 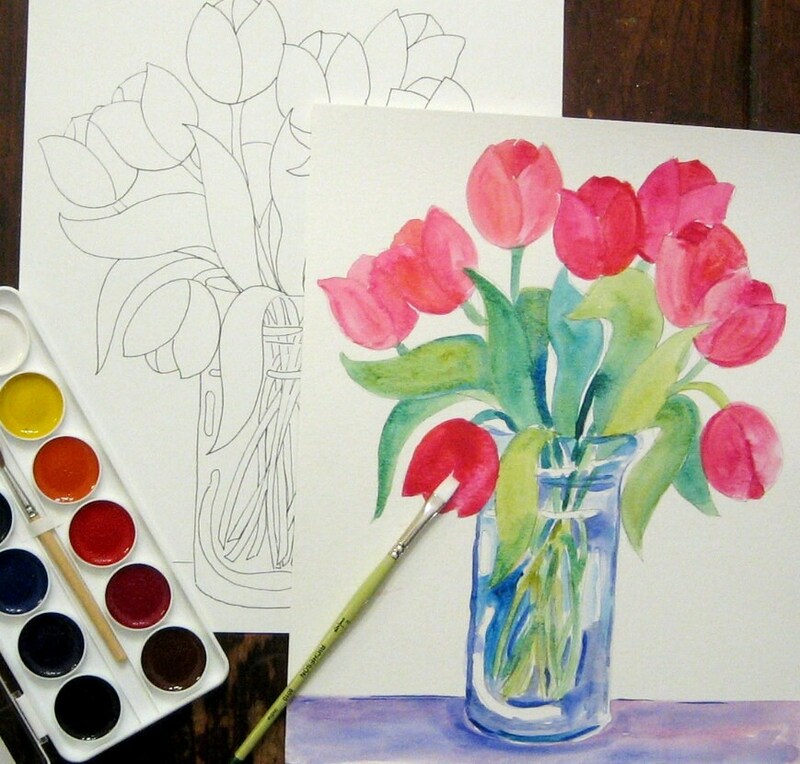 This is also a good introduction to painting with watercolors. 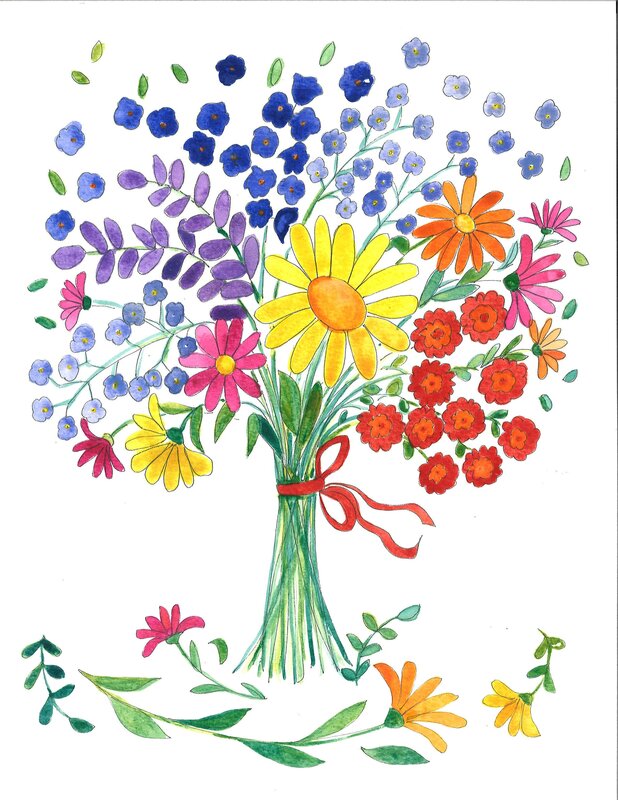 Six painting pages include, flowers in vases, and flowers tied with ribbon, and fruit. 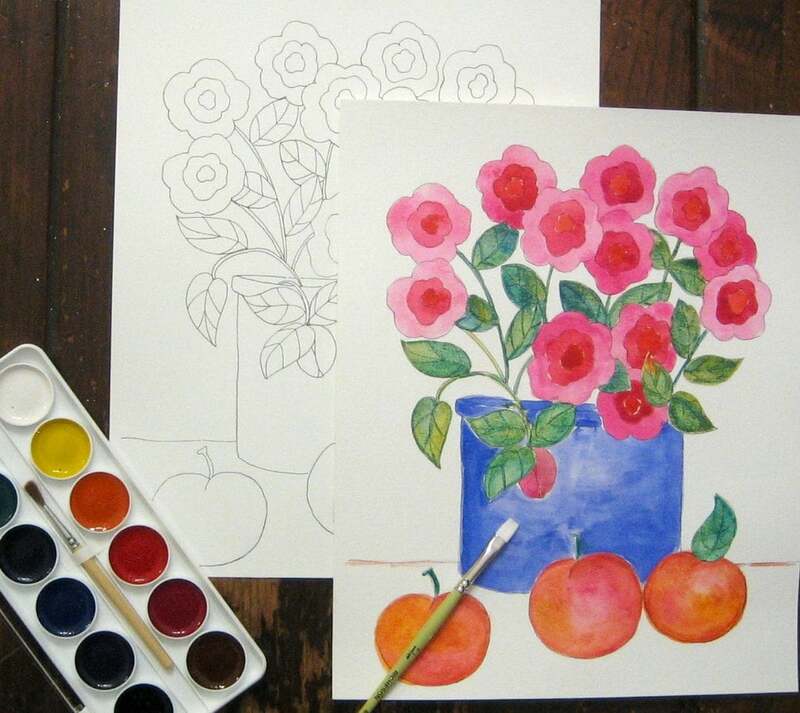 Kit also contains a watercolor set with 12 semi moist colors and paint brush by Jack Richeson Company, one blank sheet of watercolor paper for practicing, and tips.